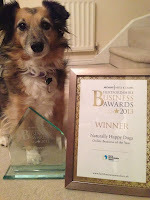 Naturally Happy Dogs Blog: We're an award winning website! 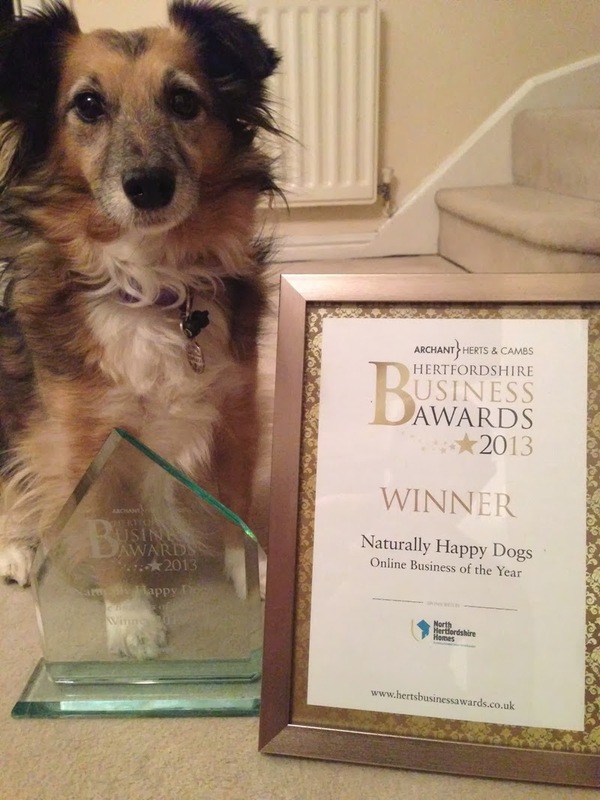 Here at Naturally Happy Dogs we are very excited about being awarded Online Business Of The Year 2013 at the Hertfordshire Business Awards last night. The past three years has been a long but enjoyable road, and the website has developed and grown over this time, which included seeing us at Crufts and Discover Dogs this year, among a number of other events. We are really pleased with the articles we have produced so far, we hope you've enjoyed them as much as we have making them, and we very much look forward to bringing you more top content in the future. 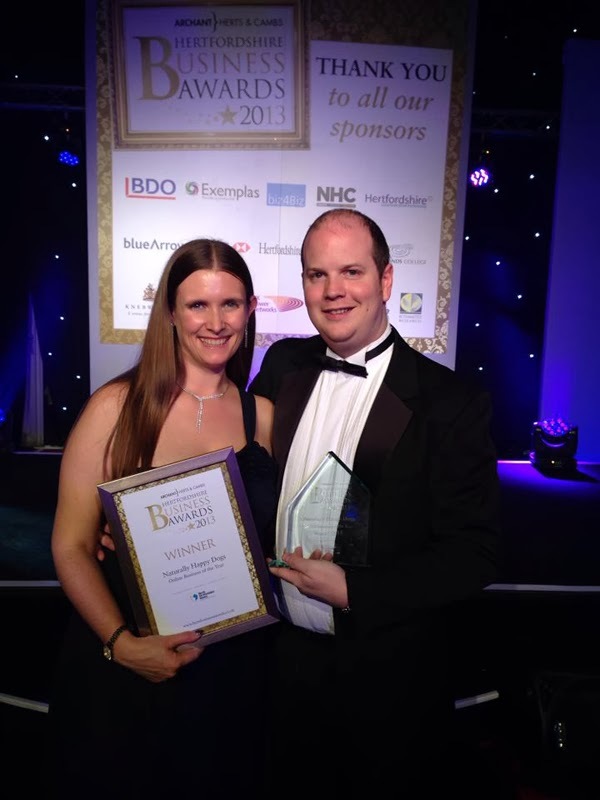 We would like to take this opportunity to thank everyone who has helped us get this award, especially to all our contributors, and also to Pauline Rowe, who has worked tirelessly to make contacts, and has recently put a huge amount of effort into the Breed Library. We thank you all very much and look forward to working with you moving forward. Best wishes, hugs, and woofs to you all from Kevin and Sally.